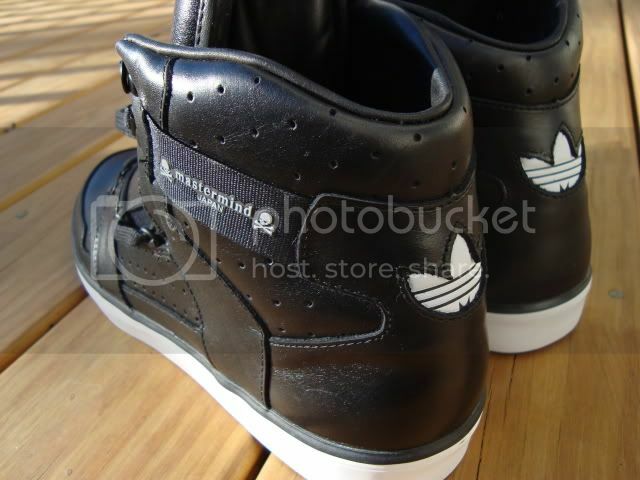 We're not going to be half-assed about this, so lets carry the Mastermind theme into sneakers as well. 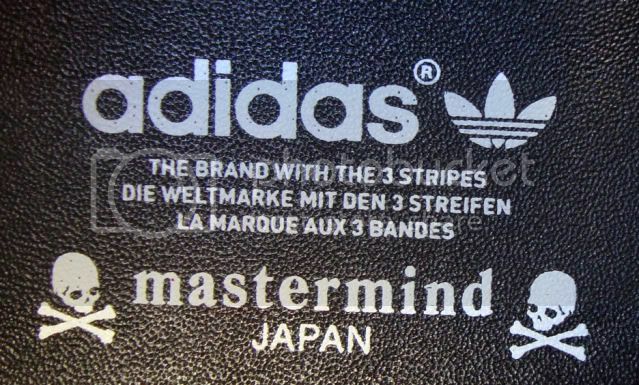 Last season Mastermind Japan teamed up with sneaker giant Adidas to produce these very limited and highly coveted sneaks. 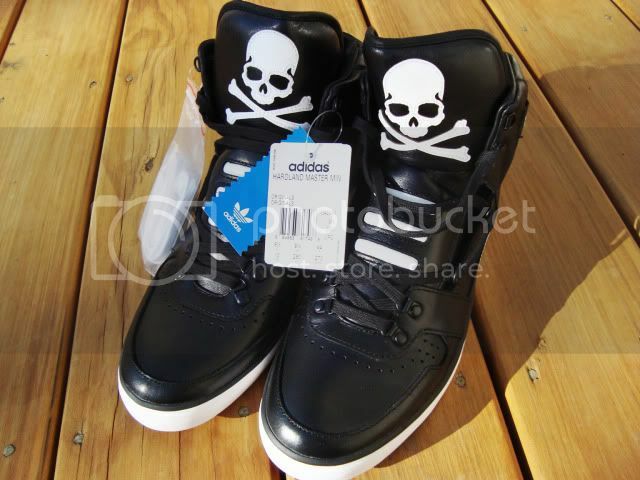 Adidas tried to take a more contemporary approach to them using the Hardland silhouette which looks more like a fashion shoe than a normal running sneaker and MMJ slapped their signature skull across the oversized tongue. solifestyle found them a bit hard to pull off, so our pair still has the tags on them, but we'll give you a closer look after the jump. These sneakers released as part of a world cup capsule collection between Mastermind and Adidas which included a track suit and soccer kit in addition to these kicks. Retail price in the USA was $160 but resell price currently rests at about $500 in new condition. The Mastermind logos are obvious on the tongue, insole and on the side elastic of the shoe, making it a great way to show off branding while paying a fraction of the price of a normal MMJ item. The shoe has a strange lacing system which starts out normally, then runs up the side of the shoe and back to the middle. To compensate for the lack of lacing there is elastic which holds the tongue in place. The materials on the shoe feel quite nice, but I can't speak about the construction quality because I don't know anybody that has worn them more than a handful of times. solifestyle would recommend them with a warning that the tongue is very large so your pants will rest behind them- if you wear them wrong they might look like pirate space boots. How do you feel about the MMJ x Adidas Hardland? Let us know in the comments.